SAN FRANCISCO, California, July 30, 2008 (ENS) - Three environmental groups and six states have won a court ruling that requires oceangoing freighters to get a permit from the U.S. Environmental Protection Agency before they can discharge polluted ballast water in U.S. waters. The decision will affect all U.S. coastal waters, including those of the Great Lakes which have been the pathway for many invasive species such as the destructive zebra mussel. The environmental groups Northwest Environmental Advocates, the Ocean Conservancy and Waterkeepers Northern California sued the federal agency, challenging a 1973 EPA regulation exempting certain marine discharges from the Clean Water Act. The Great Lakes states of New York, Illinois, Michigan, Minnesota, Wisconsin, and Pennsylvania joined the lawsuit as plaintiff-intervenors. The groups and states claimed that the EPA for years has allowed billions of gallons of contaminated ballast water to be discharged annually despite evidence that these discharges were bringing many aquatic invasive species, such as the zebra mussel, into U.S. waters. In the decision issued July 23, the Ninth Circuit Court of Appeals upheld a lower court's 2005 ruling that ships must comply with the Clean Water Act. The district court concluded that the EPA had exceeded its authority under the Clean Water Act in exempting these ballast water discharges from permitting requirements. The appeals court agreed. New York Attorney General Andrew Cuomo said the court's ruling will reduce pollution in Lake Erie and Lake Ontario, protecting the ecosystems across upstate New York and ensuring that commercial and recreational fishing are not harmed. "Today's decision is a huge win in protecting New York state's Great Lakes from invasive species and pollution that for too long have threatened our local ecosystems, economies and our health," said Cuomo. "Preserving Lake Erie and Lake Ontario for years to come is vital to our quality of life, our economic growth and our environment." As of September 30, 2008, ships will no longer be able to discharge pollutant-containing ballast water without a permit from the U.S. Environmental Protection Agency. In mid-June, the EPA issued a draft permit to regulate all vessel discharges, which requires treatment of a wide range of pollutants contained in ballast water and other types of ship discharges. This case started in 1999 when the plaintiff groups, among others, filed a petition requesting the EPA to repeal its exemption because it conflicts with the Clean Water Act. The EPA denied the petition in 2003, which triggered a series legal actions that led eventually to this ruling. "EPA spent nearly 10 years fighting against using the nation's only comprehensive law to combat an environmental plague that is costing the U.S. economy billions of dollars," said Debbie Sivas, director of the Stanford Law School Environmental Law Clinic, which represented the three plaintiff groups. "We are gratified that the Appeals Court has held the EPA accountable so that this country can begin to control the dangerous tide of invasive species." Nina Bell, executive director of Northwest Environmental Advocates, based in Portland, Oregon, said the court's decision will properly shift some of the burden of invasive species from taxpayers to shippers. "The Ninth Circuit's decision is very important for the taxpayers who have been paying the huge price of EPA's continuing refusal to implement the Clean Water Act," said Bell. "If EPA had used its Congressional mandate 30 years ago, this country would have been using the Clean Water Act to effectively control ship discharges for all that time." 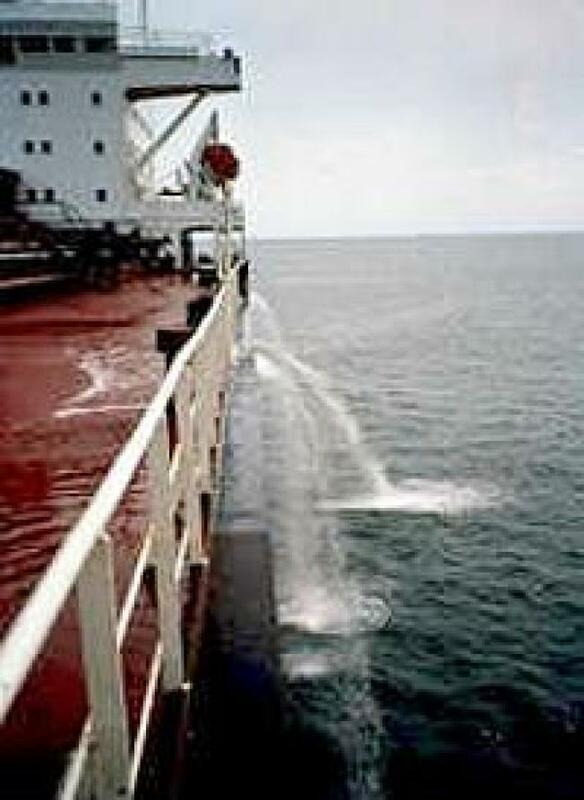 Ballast water discharges occur when a vessel is moved from one body of water to another and the water the ship carries with it for balance is released. When these releases are untreated, they can contain transported invasive species that disrupt the natural ecosystem in the second body of water. The amount of ballast water discharged in U.S. waters exceeds 21 billion gallons each year. Carried in this water are plants, animals, bacteria, and pathogens, from microscopic creatures to large plants and free-swimming fish. Untreated vessel ballast discharges have resulted in the introduction of more than 180 aquatic invasive species into the Great Lakes, and have similarly affected other U.S. waters. Billions of dollars in damage to fisheries, recreation, and public infrastructure is directly attributed to aquatic invasive species. The zebra mussel, introduced into a small area of the Great Lakes in the late 1980s, has propagated into all five Great Lakes and many other North American waterways, reaching densities of up to one million per square yard and causing costly damage to water and power plants by clogging intake pipes. Invasive viruses and toxins, such as viral hemorrhagic septicemia and Type E botulism, have been implicated in recent large-scale fish and bird die-offs. Some native species, like unionid clams in the western basin of Lake Erie, are nearly extinct. Small organisms at the base of the food web also have been severely affected. The devastating effect of invasive species has had direct human implications, Cuomo said. A 2001 EPA report indicated that a strain of cholera that killed 10,000 people in Latin America in 1991 was introduced by the bilge water of a Chinese freighter. The strain then came to the U.S. in the ballast tanks of ships from Latin America, but was detected in oyster and finfish samples in the Alabama port where the ships anchored. The Department of Agriculture spends millions of dollars each year to combat invasive species. A study by the General Accountability Office, the investigative arm of the U.S. Congress, estimated that annual economic losses and costs related to invasive species totals $137 billion - more than double the annual economic damage caused by all natural disasters in the United States. The decision focuses on the need to regulate ballast water discharges from large oceangoing cargo ships, and gives the EPA broad flexibility and discretion with respect to discharges from other types of boats. In order to further clarify that the Clean Water Act does not require the regulation of small recreational boats, the U.S. House and Senate last week passed legislation that would exempt these boaters from Clean Water Act regulation of discharges incidental to the normal operation of their vessels. The plaintiff groups cautioned that the shipping industry has shifted its fight from the courts to lobbying Congress. Bell said, "As soon as we won the district court case in 2005, the shipping industry immediately turned to Congress for a special exemption from the Clean Water Act, to preserve their ability to pollute at the nation's expense."